For our VANILLA BEAN GELATO, we hand-scrape the Vanilla Seeds into each batch and use a mix of Vanilla Bean extract from Tahiti and Madagascar. For our EXTRA DARK CHOCOLATE GELATO, we use extra fine 73% Dark Belgian Chocolate and fine, smooth, slightly reddish Dutch Cocoa Powder. People are saying that our SEA SALT CARAMEL GELATO is the “adult” version of what’s currently out there. Amazing taste and 42% less sugar than other gelatos. For our CHOCOLATE CHIP GELATO we use our pure milk base flavor called Fior di Latte and hand-shave Chocolate Chips from a big block of 54% Chocolate into it. For our ESPRESSO GELATO we chose the absolute highest quality coffee which is locally roasted and is also used by the finest hotels and restaurants here in Southern California. FRESH MINT CHIP GELATO tastes exactly like the ingredients – Mint and Chocolate. We cook pure Mint Leaves and hand-shave our Dark Chocolate chips creating an unprecedented gelato taste experience. For our EXTRA DARK CHOCOLATE SORBET we use a dark 73% chocolate to create a smooth textured but rich Chocolate Sorbet. For our STRAWBERRY SORBET, we use locally produced California Strawberries, crafted to perfect taste and consistency. 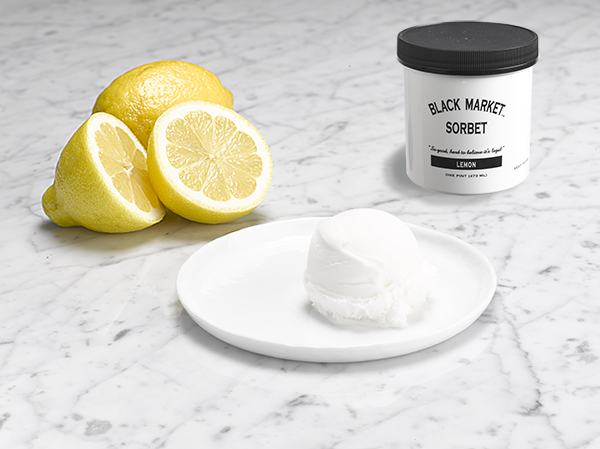 For our LEMON SORBET we use nothing but pure Lemon Juice and that’s it!